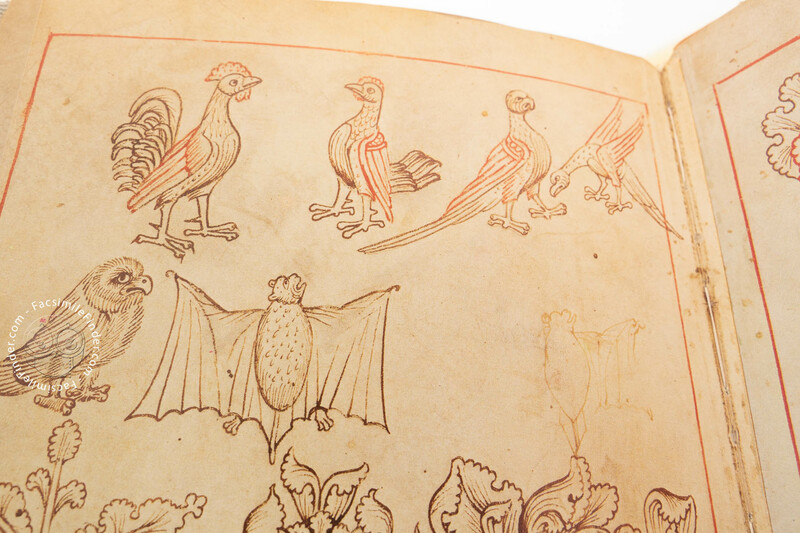 One of the sources of their work were for many medieval illuminators the so-called Model Books, from which they often took their inspiration when crafting illustrations and depictions. 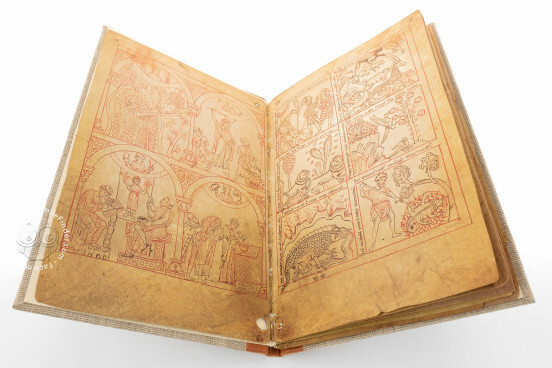 The Model Book of Rein, named after where it was composed, the namesake Cistercian abbey near Graz in Styria, can possibly be deemed the finest example of this type of illuminated manuscript. 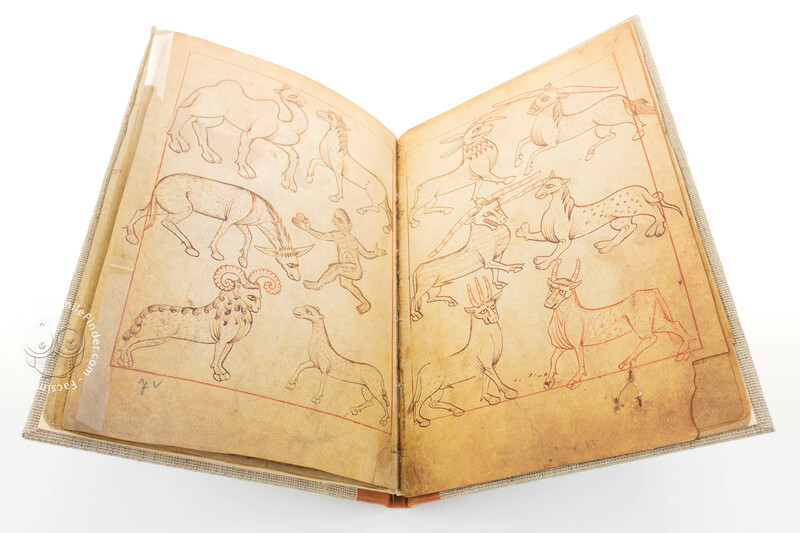 The Model Book of Rein (also: Reiner/Reuner Musterbuch) is part of a collection of manuscripts created in the first half of the 13th century, assembled afterward and now preserved in the Österreische Nationalbibliothek with the shelfmark Codex Vindobonensis 507. 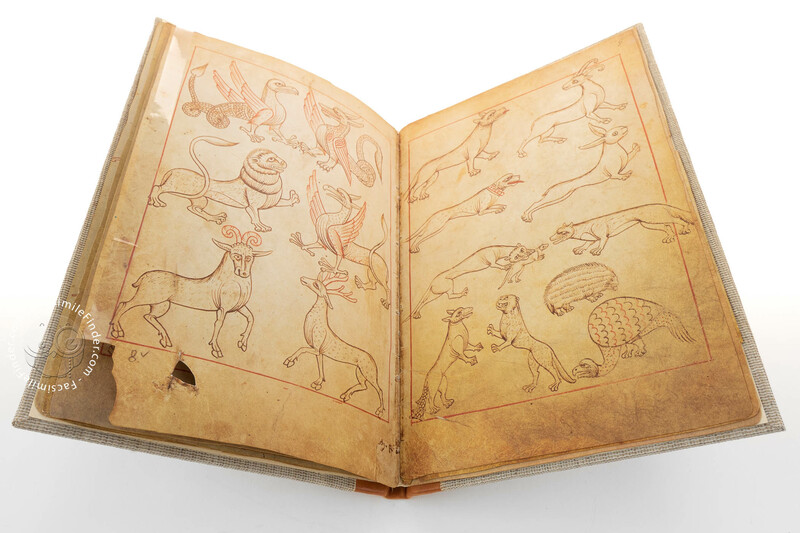 This Model Book was composed by an anonymous artist: in only 13 pages he meticulously depicted scenes taken from everyday life and the animal world. 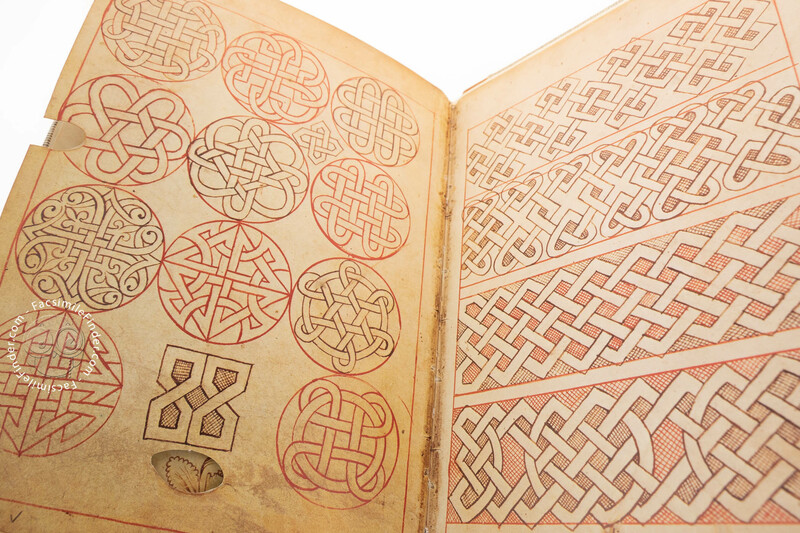 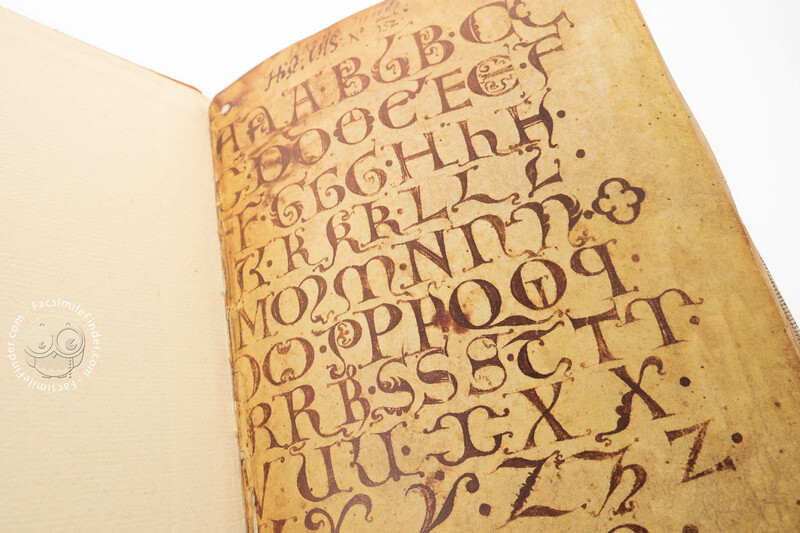 He also included calligraphic initials, but also motives to be used when drawing floor tiles and stained glass windows. This manuscript was undoubtedly crafted during the 13th century; this is thus possibly the oldest Model Book to have survived from the medieval period. 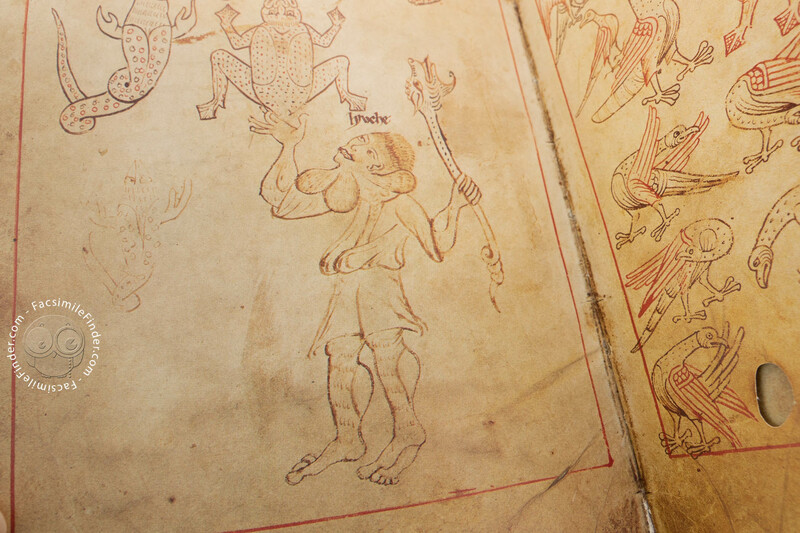 The Model Book of Rein begins by illustrating various scenes taken from typical daily life in the Middle Ages. 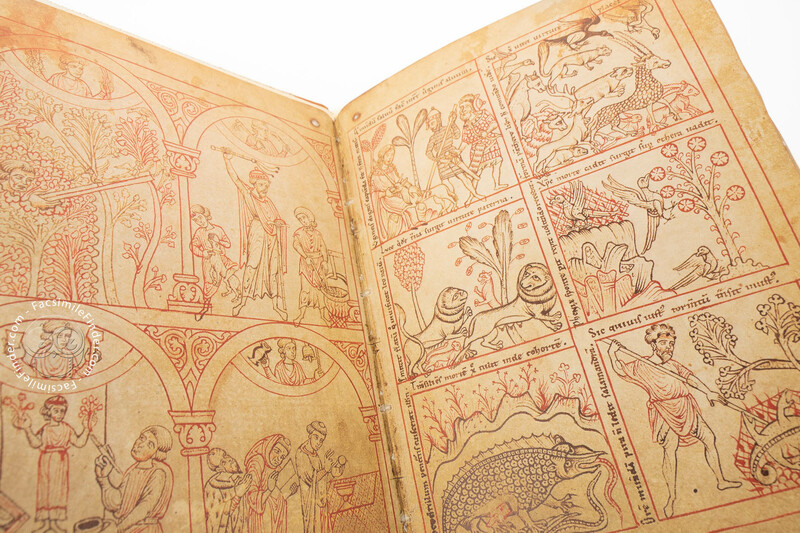 The incredibly detailed depictions describe farming, the arts and crafts, but also fishing and hunting flanked by scenes of monastic life. 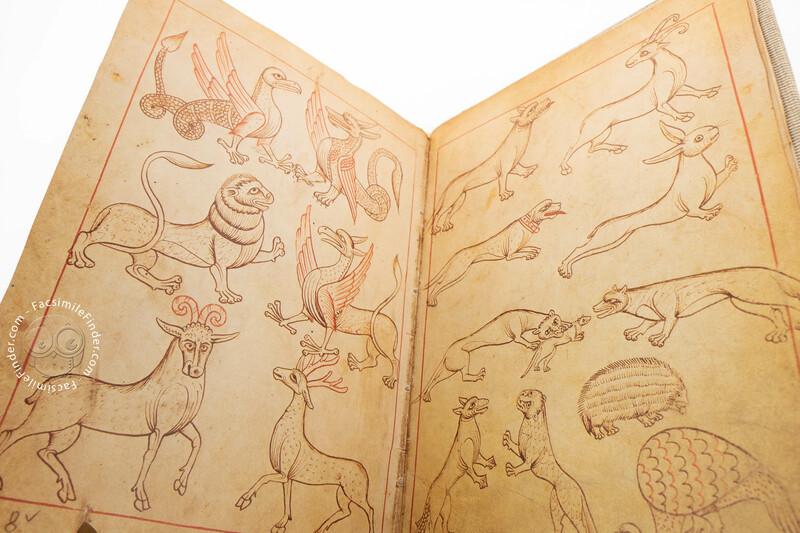 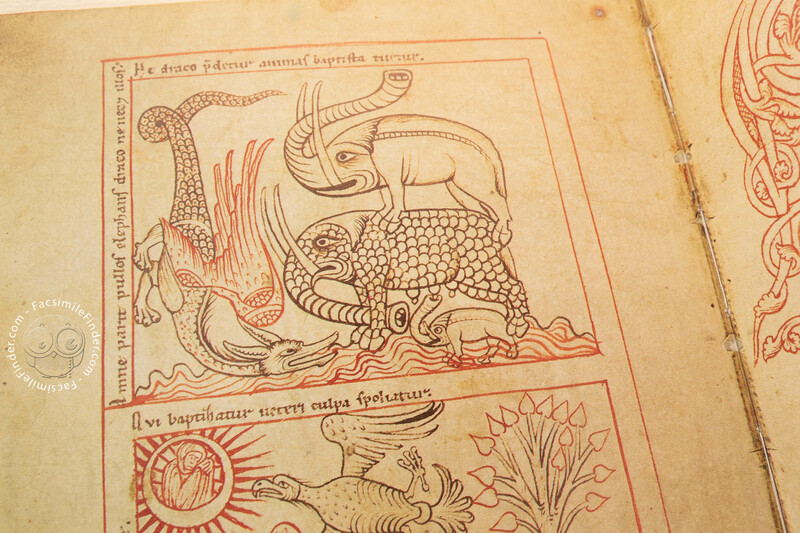 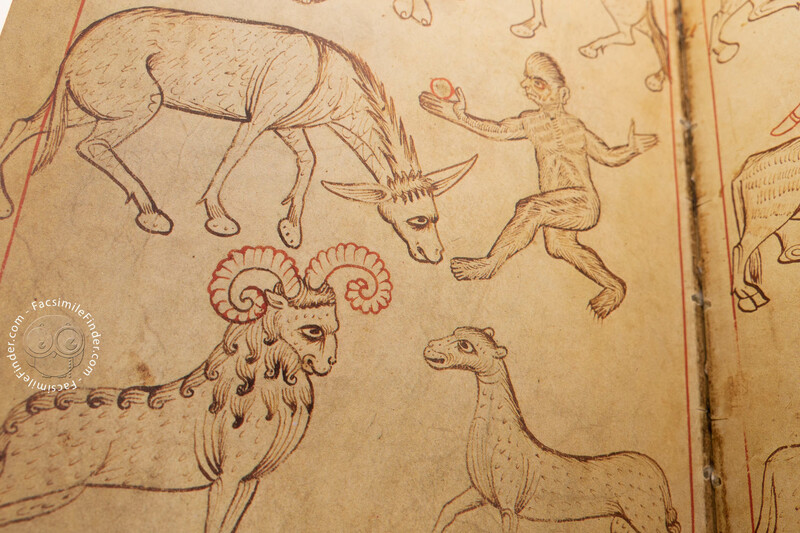 The manuscript also features 48 real and imaginary animals, plants, and precious stones. 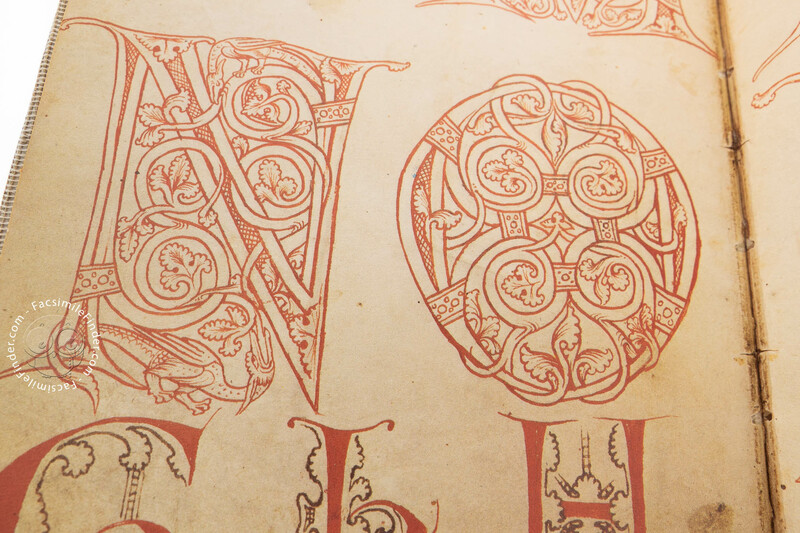 The birds must be mentioned in particular due to their convoluted movements: scholars now assume they could have possibly served as models for historiated initials. 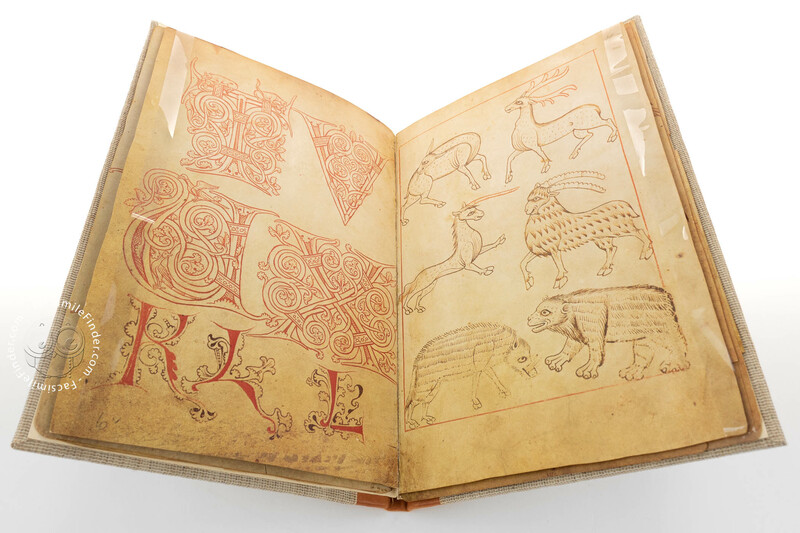 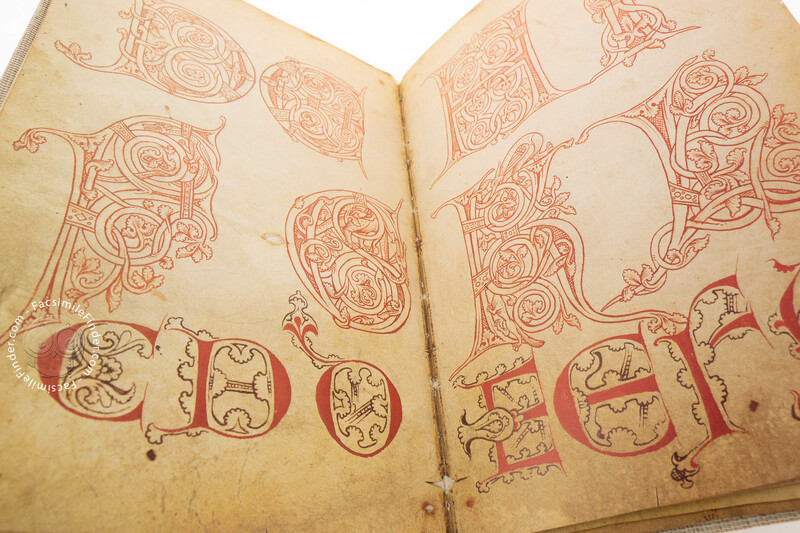 Some initials do appear in the Model Book of Rein, namely in the different alphabets, made up of simple majuscule letters or illustrated initials that follow the aforementioned depictions of animals and nature. 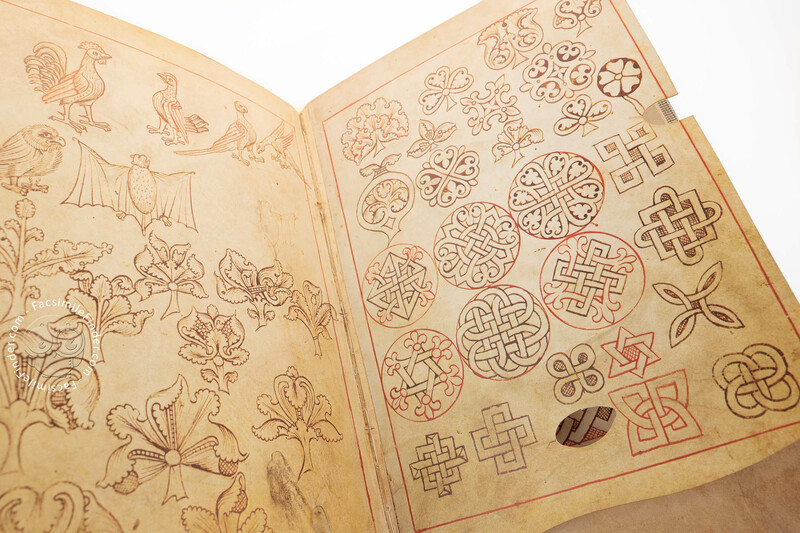 The letters are then followed by drawings of multi-lobed, scroll-like leaves that encircle flower and fruit motives. 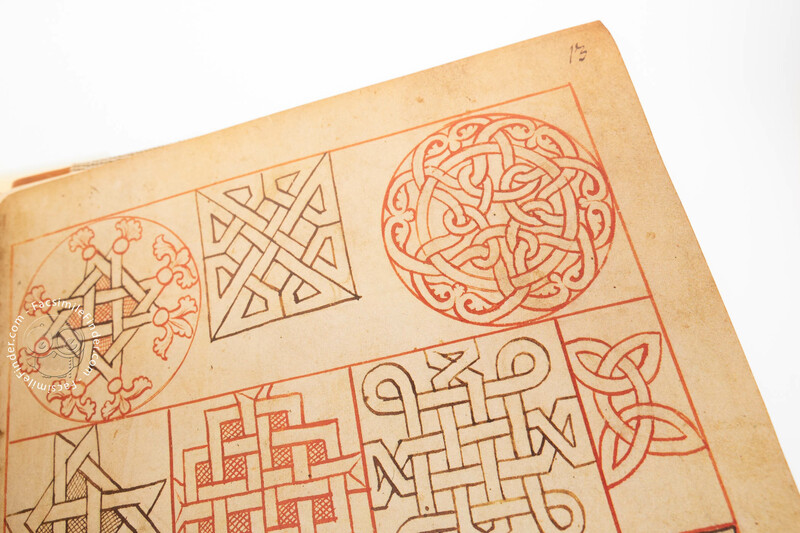 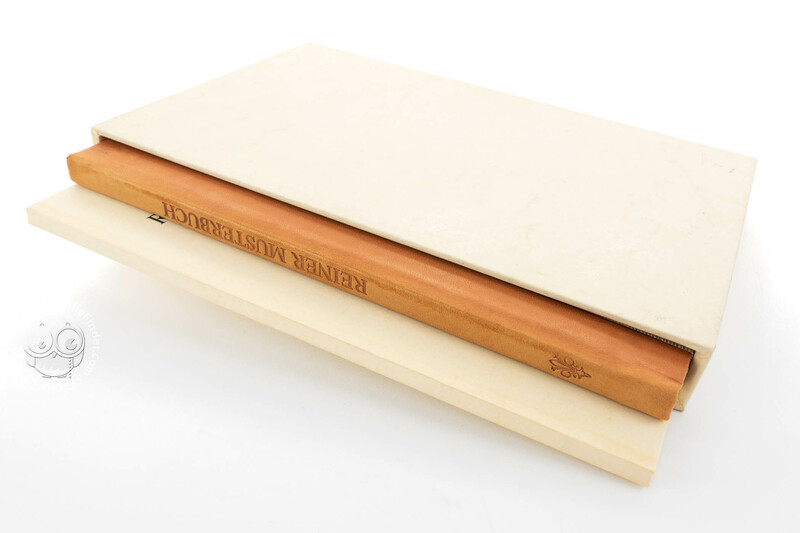 The Model Book ends with an example of lavish ornaments to be used when drawing floor tiles and stained glass windows, in a style that is reminiscent of Greek mosaics. 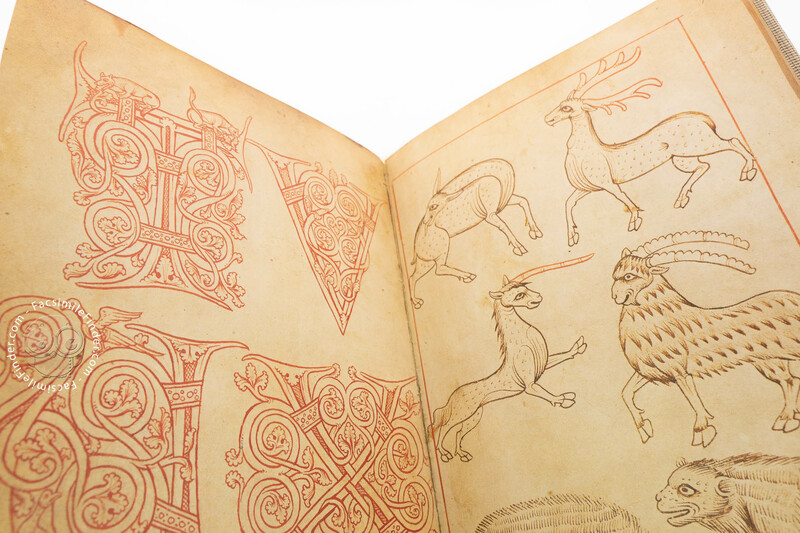 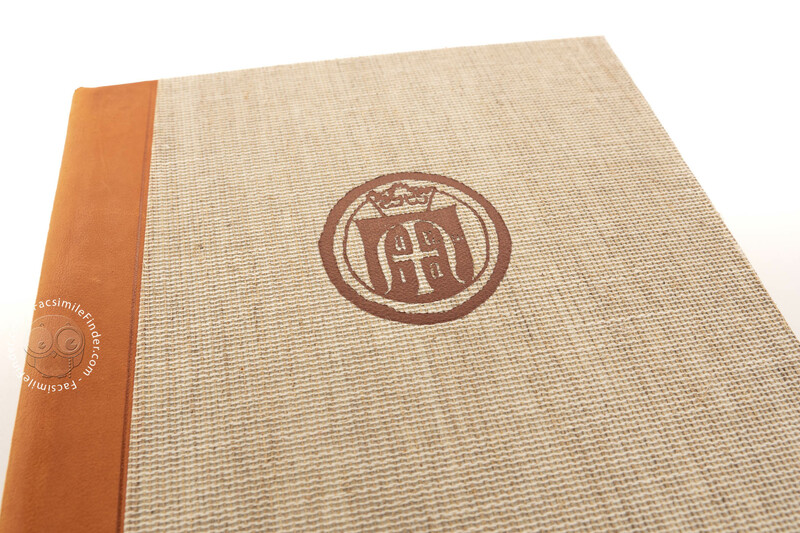 All of these features make the Model Book of Rein a captivating 'summary of medieval art and culture'. 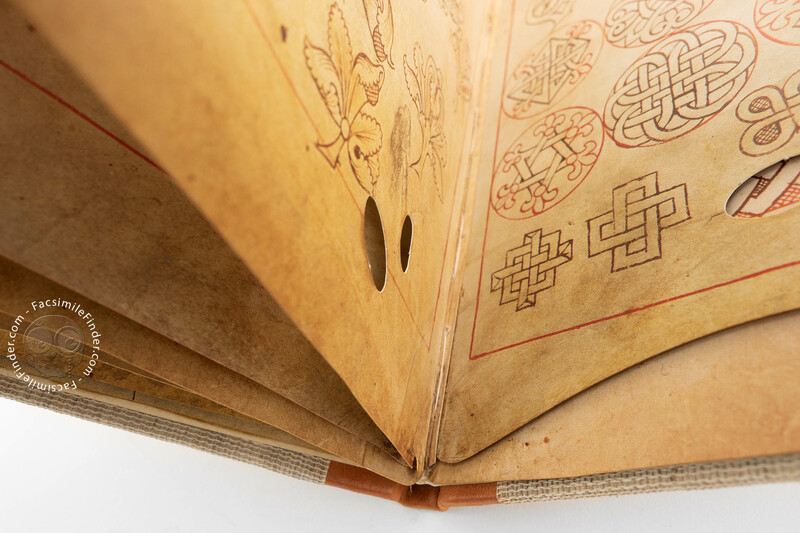 Manuscript book on parchment − 24.1 × 15.8 cm − 26 pp. 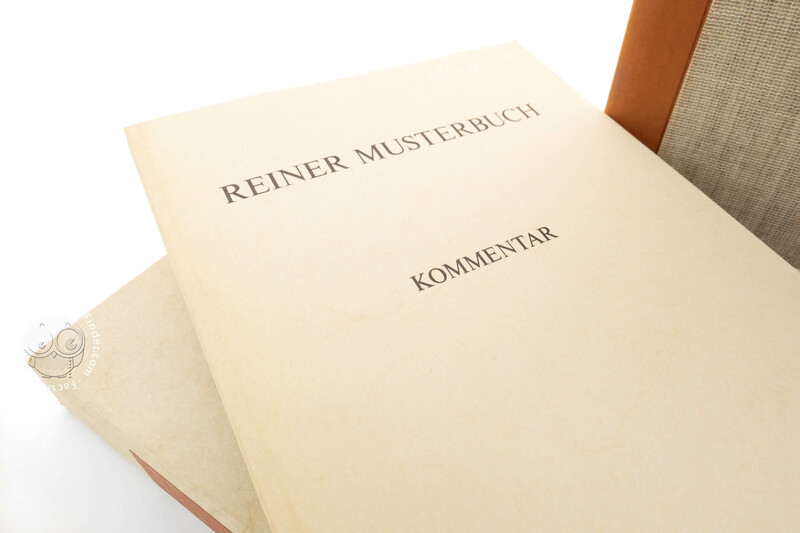 This is a partial facsimile of the original document, Model Book of Rein: the facsimile might represent only a part, or doesn't attempt to replicate the format, or doesn't imitate the look-and-feel of the original document. 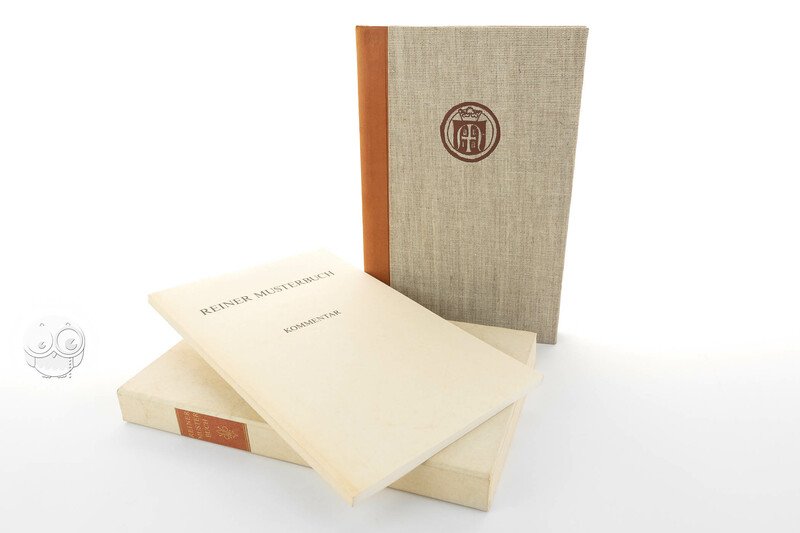 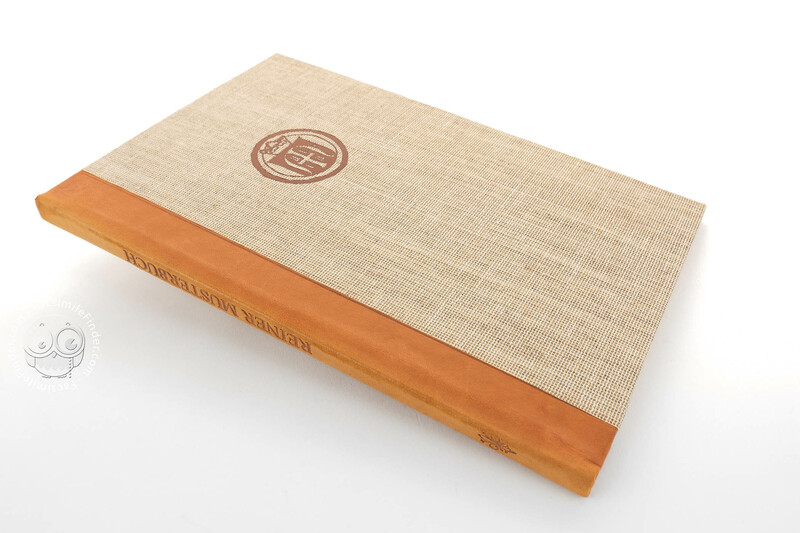 The facsimile edition by Akademische Druck- u. Verlagsanstalt reproduces only the first 13 folios from the original manuscript Codex Vindobonensis 507.